We all likely have junk or unused items that are adding clutter to our homes while rarely, if ever, being used. Whether you have built a surplus of holiday decorations or impulse buys have led to an admirable collection, you may be looking at ways to declutter your home with a storage unit. Follow these steps and partner with Storage Center Tulsa to get your home back in order. 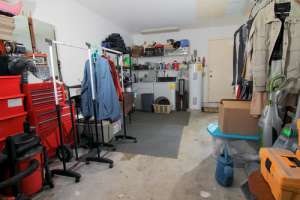 When preparing to rent a storage unit, it is important to make a plan to determine what your individual storage requirements are and the parts of your home you want to declutter. The garage is often the first area of the home to become cluttered and most homeowners prefer to start here. However, if you are unable to use certain rooms of your home, you may prefer to start in these areas to regain the lost living space. Depending on the items you are planning to store, you may need to gather some supplies to ensure they are stored properly. When you declutter your home with a storage unit, it is important to ensure that the items are safely placed in boxes to reduce the amount of clutter that goes into the storage unit and effectively utilize the storage space. You will also likely want to ensure you have a labeling system available and trash bags that are junked. While preparing your items for storage, it is important to trash any items that are broken or are no longer in good condition. While certain items may have sentimental value, it is important to realize that these items no longer serve a purpose. Often, getting rid of these items due to emotional attachments is the hardest for most homeowners looking to declutter. While packing items to declutter your home with a storage unit, you should also be organizing as you go to ensure every item has its place. While packing and organizing your home, like items should be kept together for easy access at a later date and all boxes should be labeled. Once the packing is completed, you are ready to store your items and enjoy your decluttered home. Why Choose Storage Center Tulsa? If you are ready to take control of the items in your home and free up space that has become cluttered, Storage Center Tulsa is here to help! When you Rent from The Storage Center of Tulsa you can enjoy convenient, secure access to your self-storage unit, 7 days a week. If you are ready to get started, we encourage you to fill out our online application or call us at 918-298-6300 today! I have been a customer here for at least five years. The driving lanes are wide and spacious. All the storage units have lights which is convenient at night. I have only been in the office a couple times and the staff was very nice each time.